In just over one month I will be ‘running’ around Arthur’s Seat and Holyrood Park for 24 hours as part of a team of four taking part in the Edinburgh 24. I put the word running in quotation marks as I am not sure how much running I will be doing at 3am….Am I nervous? Yes, definitely! I have run ultras, but I have never got to the 24 hour mark and although I am doing this as part of a team, I still need to be awake and active for that time. Am I excited? Hell yes! I can’t wait! I LOVE Arthur’s Seat and Holyrood Park. Like so many others, this amazing oasis of calm within the city, shaped by a volcano over 30 million years ago, is my place to escape the city for a few hours. It is where I come to relax, walk off the day’s stress and meet with friends for a run. I never get tired of the views as I walk up to the summit or around Salisbury Craggs and Dunsapie Loch. I regularly take my Edinburgh Run Tours up Arthur’s Seat and around the park for runs and sunrise picnics, and each time I am just as excited about the ever-changing views as are the visitors to the city that I take up there, (I am not always so excited about the ever – changing weather though!). I signed up for this race on a whim in the new-year, when I was looking for different and exciting challenges. I then managed to find 3 other people as crazy as me, willing to form part of a team. I would like to say that we are all hard in training, but our first team meeting revolved around dinner and deciding what should be on our playlist (80s!). However, as I run most days, have a few races already under my belt this year and go up Arthur’s Seat at least twice a week, I am confident I can do my part, although running through the night does make me slightly apprehensive as it is an unknown for me. What I do know though, is that experiencing 24 hour’s in the life of Arthur’s Seat is going to be incredible! Arthur’s Seat and Royal Holyrood Park are the stuff of legends; of warrior kings, knights, ghosts and hidden cities and who doesn’t want to be part of that? The race is not just for those crazy enough to run for 24 hours, there are also much more accessible 6 hour and 12 hour options; all of which can be done as an individual, in a pair or part of a team of 4. There will be an around the clock event village providing refreshments and medals for all those who take part and supporters are extremely welcome, especially if you come laden with jelly babies and lots of positive vibes! 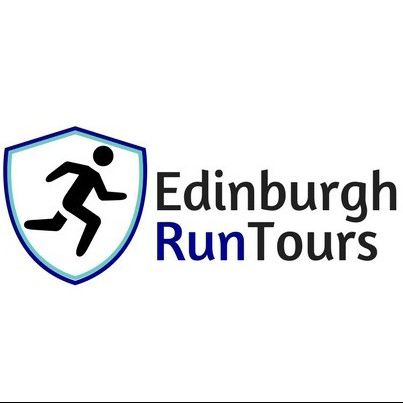 “What is a running tour?”….